"Well, it's about time," said the combined analyst community as LinkedIn announced that it will be dipping its toes into the ever-churning adtech waters today. The professional network has launched the LinkedIn Audience Network to allow marketers to "promote native ads to certain audiences on sites and apps other than LinkedIn." With the ability to now monetize its high-level, entrepreneurial and career-driven audience, the benefits are clear for the platform as it expand its services. 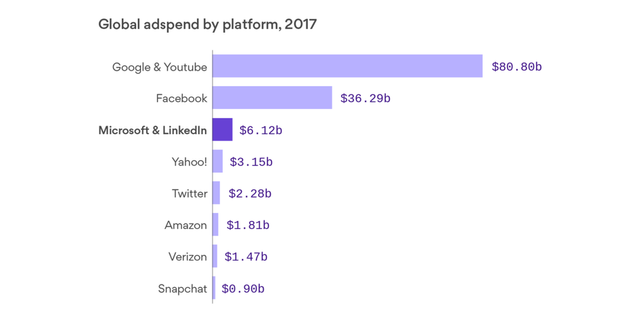 However, LinkedIn enters into a crowded and competitive landscape primarily controlled by Google and Facebook which see a combined ad spend of over $116 billion (with a "b"). For the communications industry, this news represents a move towards better audience targeting and a focus on building more authentic means for reaching those targeted audiences. But, as advertising becomes more and more integrated into our regular media consumption habits, the lines begin to blur around what's an ad and what isn't. With GDPR looming, we'll see how this affects consumers and their willingness to link all aspects of their life.